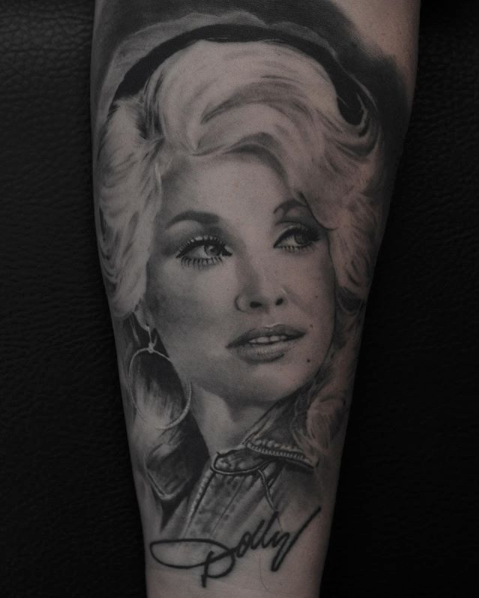 Radu specialises in Photo Realistic tattoos, both black and grey and colour. His portfolio is largely based with Portraits, Animals and Scenery. He also likes to delve into Surrealism consisting mainly of a horror theme. 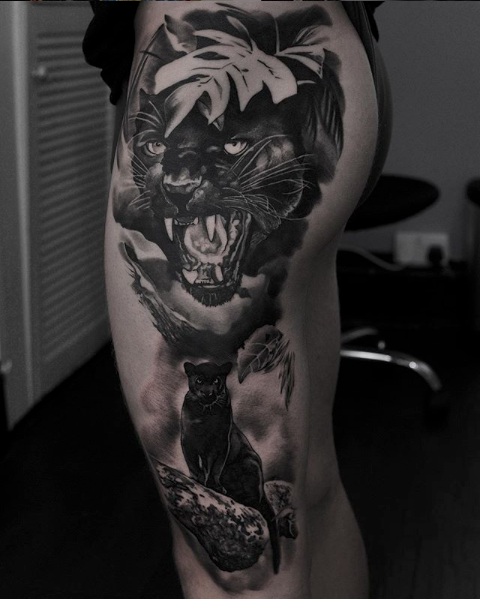 Radu graduated from the University of Leeds with a BA Hons in Photography and Fine Art, after completing his Apprenticeship in 2012 he has been tattooing as a career since. He is also the OG team member and co-founder of Atelier Four! 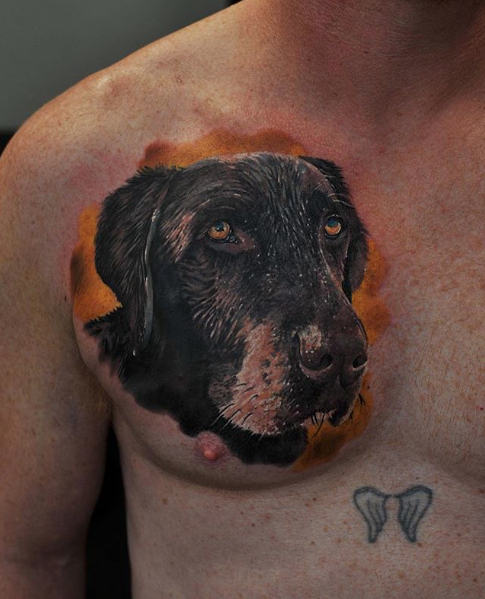 He is regularly published in Tattoo Magazines, nationally and internationally and an award winning artist. 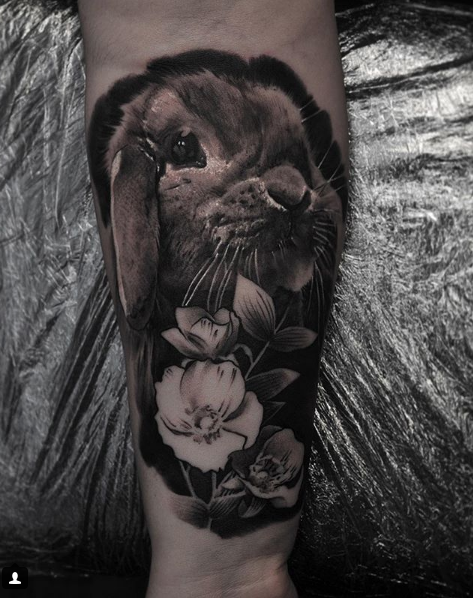 Most recently winning Best Realism at the exclusive Tattoo Collective London, featuring only 150 hand picked artists from across the UK. Also winning Best Realism and Best Large Colour at the Cornwall Tattoo Convention 2018. Radu attends regular Guest Spots and Conventions not only in the UK but across Europe. He is a regular Guest Artist in Germany, and has attended conventions in Milan, Brussels, Bucharest, Liverpool, and London. For any upcoming Guest Spots or Conventions please see the 'EVENTS' section of the website. He is also included in Britains largest ever Tattoo Exhibition, 'BRITISH TATTOO ART REVEALED' which is taking place in Museums nationally, and internationally in the future . The 100 hands project showcases silicone arms, tattooed exclusively by 100 of the UK's top tattoo artists. A link to the exhibition here. Hopefully it will be in your area soon! 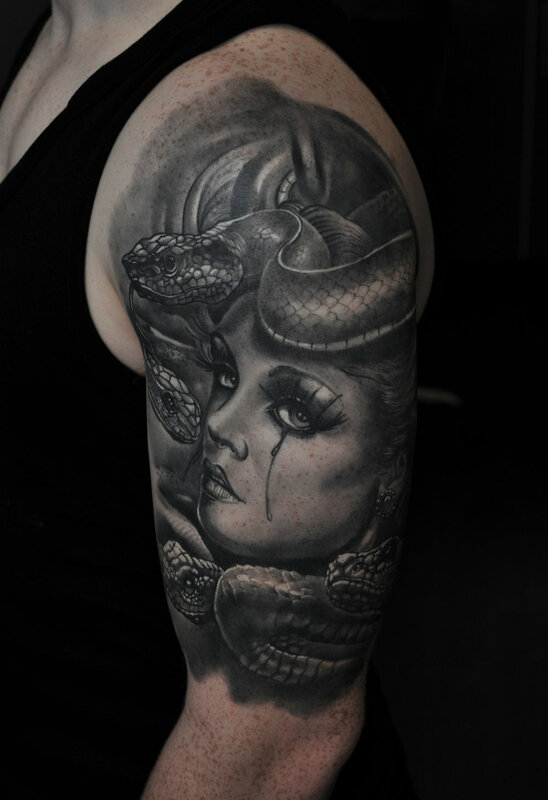 Work completed at the Tattoo Collective London. Radu Rusu is proudly sponsored by Sorry Mom Tattoo, Process and Aftercare Products. For appointments with Radu please get in touch by using our Enquiry Form.